Plumbing pipe lighting hardware can be a little hit and miss for the average DIY lighting exponent. Edison Light Globes can supply a range of hardware parts that have been specially developed to build light fittings from standard plumbing pipe hardware. Since we have been designing and assembling plumbing pipe lighting for some time we have designed and manufactured a number of hardware components that make assembly a simple process where all components thread together. We started with a cast iron pipe flange component that was intended to make for a more appropriate mount that both attaches to and covers a standard J-Box. This is a two part component with a pressed steel mount plate that attaches to the j-Box and a rough cast cover plate that then attaches to the mount via 4 screws. 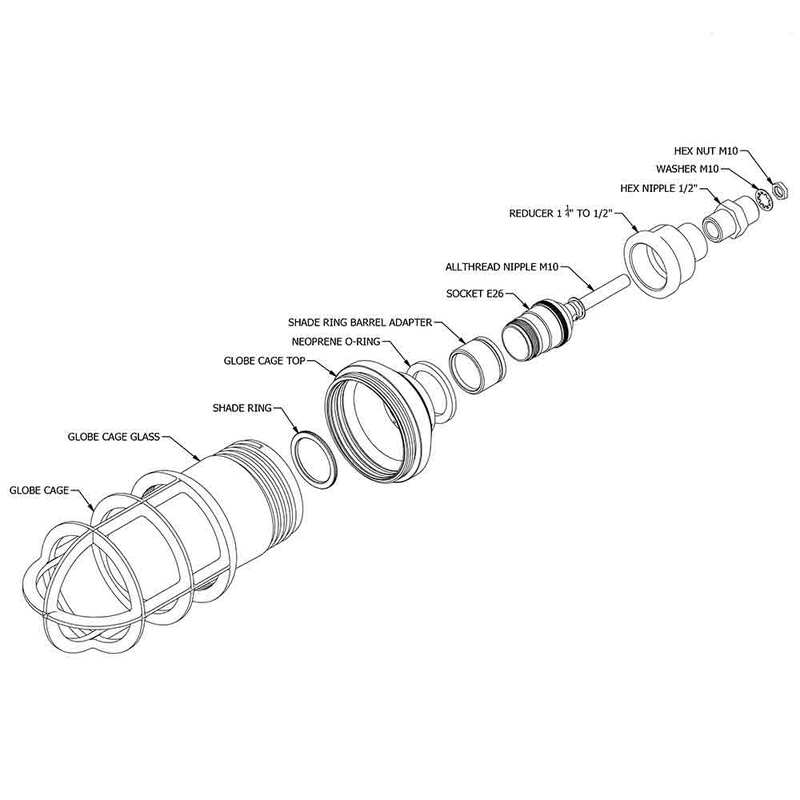 The center thread of this component is 1/2″ NPT standard pipe. We also manufacture a 1/2″ NPT pipe to M10 socket thread coupler. These are made from mild steel and can come as raw machined steel or powder coat black. These simply make a threaded connection between ES or SES sockets to plumbing pipe tapered thread. We also supply a solid brass or solid aluminum cage and glass globe containment solution for outdoor lighting that completely seals the globe from water. This can be attached to plumbing pipe fittings with a specific arrangement of parts described on the product page. More information will be available soon along with video instructions. Our current list of plumbing pipe parts is available here.